Now offering FREE High-Speed Internet Access in ALL rooms. 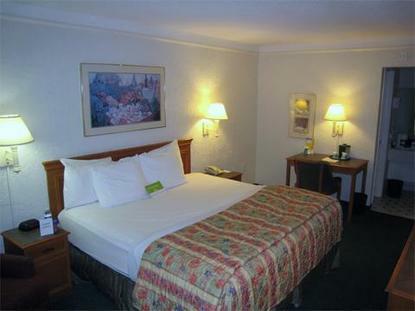 You will notice the old world charm the minute you arrive at the La Quinta Inn-St. Petersburg. Hear the burbling fountain as you stroll among tropical vegetation to the romantic courtyard gazebo. Lounge on the sundeck around the heated outdoor Swimming Pool as palms wave lightly overhead. Begin each day with a complimentary Deluxe Continental Breakfast awaiting you in the lobby (we have a restaurant in the parking lot).